Independent Reserve | Celebrating moon action and 2019 the year of the Security token? CBOE Global Markets has temporarily pulled its application for the VanEck Bitcoin ETF. The SEC has been out of action since the US government shutdown with a decision date scheduled for late February. VanEck would rather have more time to make its case “clearly and convincingly to the regulators”. In 2018 many crypto investors were looking to this ETF as being the product to kick start institutional and non-crypto savvy retail investment. The fact that the price of Bitcoin was unmoved by this news hints that the market isn't holding its breath for this ETF in the short term. 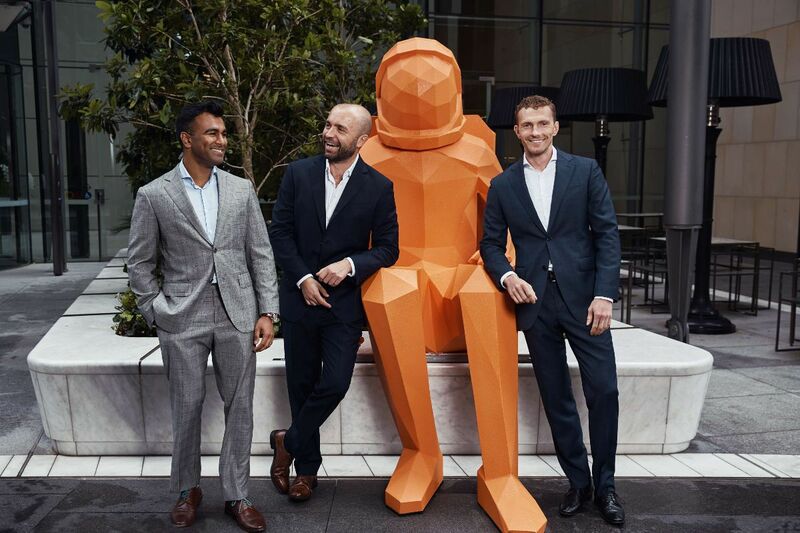 As a proud supporter of Sydney city and community, IR helped celebrate Sydney Festival IR helped celebrate Sydney Festival by sponsoring artworks in the form of larger than life astronauts scattered throughout Barangaroo. The festival paid tribute to the 50th anniversary of the Apollo 11 mission that landed the first men on the moon. Similar to IR’s mission to create a healthy space for cryptocurrency growth, the 'Apollo 11' astronauts were committed to the advancement of a new technological race. US e-commerce giant Overstock has recently launched tZERO, a secondary market/exchange for security tokens. tZERO has been designed to adhere to SEC securities laws. Investors must meet certain criteria to be considered accredited investors and trade through a partnered third party broker to the exchange. Currently, only its own tZERO tokens are trading live. However, it paves the way for others to list securities tokens on tZERO or list their own tokens on a secondary market using the same structure. Binance conducted BitTorrent's successful ICO this week via Binance Launchpad. The ICO ran two parallel raises, one for investors paying in BNB and the other for investors paying in TRX. Both pools were fully exhausted in less than 15 minutes despite some technical mishaps along the way due to greater than expected demand. BitTorrent raised around AU$10million in total and aims to build on its existing peer-to-peer network by creating incentives to seed and add new content.